How do I graft these scions? 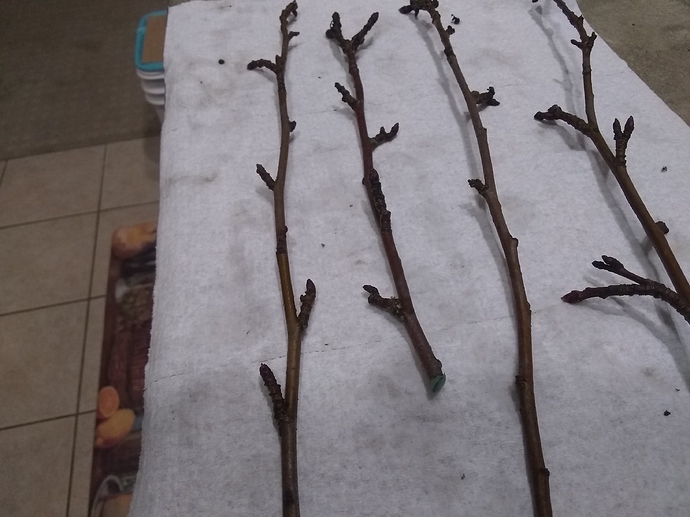 I have several scions of the same kind - Russian apple Melba that were taken from an old tree, that was cut to the high stump(above graft union) but regrew. The problem is, all I could get have spurs, not just strait young scions. There is no buds other than on the spurs, all buds on the scion itself look completely dead, so cutting the spurs is not an option(tried it last year with no success). So do I have to wrap every spur with stretching tape? Also, what portion of the scion should I use? 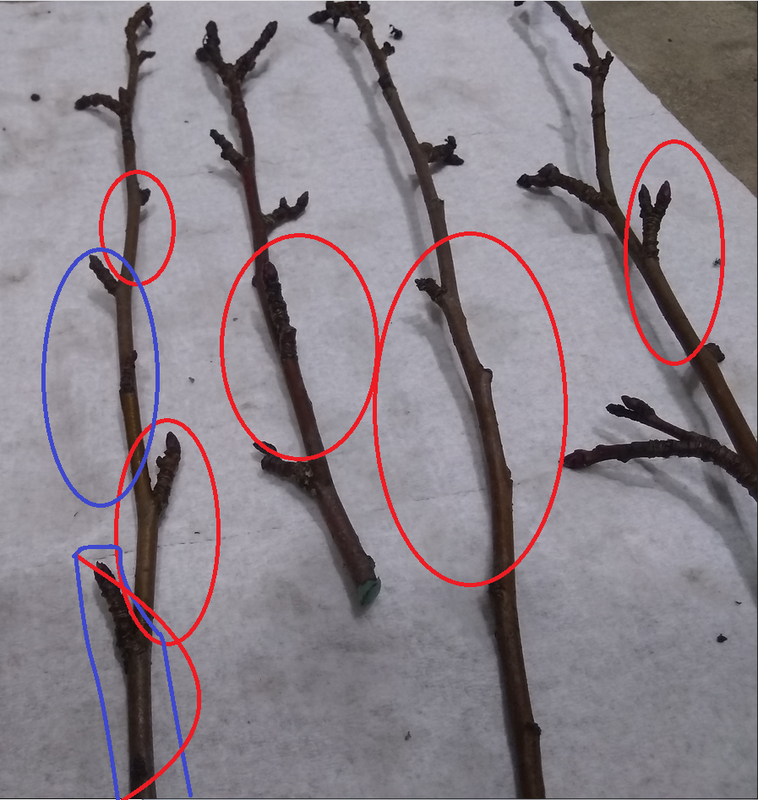 Top seems to have more buds per length of the scion, but also thinner… And how long the wood should be to increase chances for success? 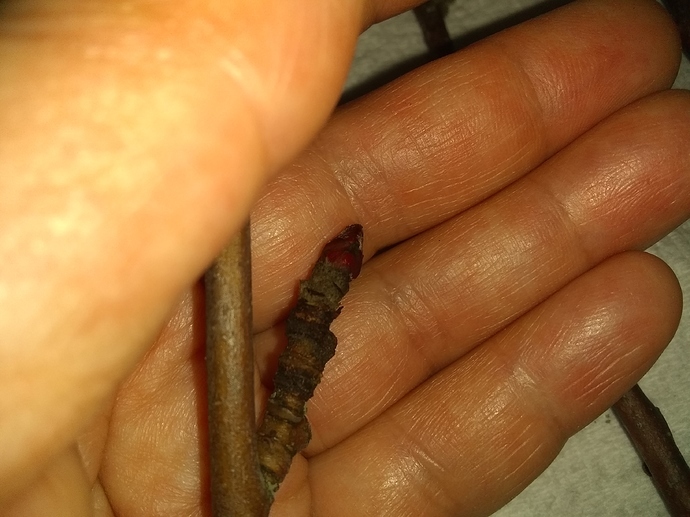 All I need is one graft to take, but I could graft to several trees/branches to make my chances better. I can’t answer your question but am wondering about a similar situation. I have cuttings of 2-yr old wood from a variety I’d really like to propagate onto some extra M111 and G890. Is it possible? I’m willing to risk it and retract w/1 yr wood next year if it comes to that, but I’d really like to benefit from an extra year’s growth…not getting any younger here! Thanks, and apologies if this is considered a hijack! The third one from the left would be my choice. I don’t need for very long scion. On that stick, I would trim the wood off after the fifth bud counting from the bottom up. For apples, you don’t need to wrap a whole scion. Only the top and bottom (until you graft). Does this mean 1yr old wood is not a necessity? I mis-read your first question earlier and imposed upon myself you had 2-year old graft wood stored in sawdust for example. The answer is you may graft any year wood. There are a lot of techniques and knowing many does become useful with a) age of wood; b) shape and thickness as well as smooth/roughness of bark, and so on. The answer is you may use any age wood you’re able to whittle with. 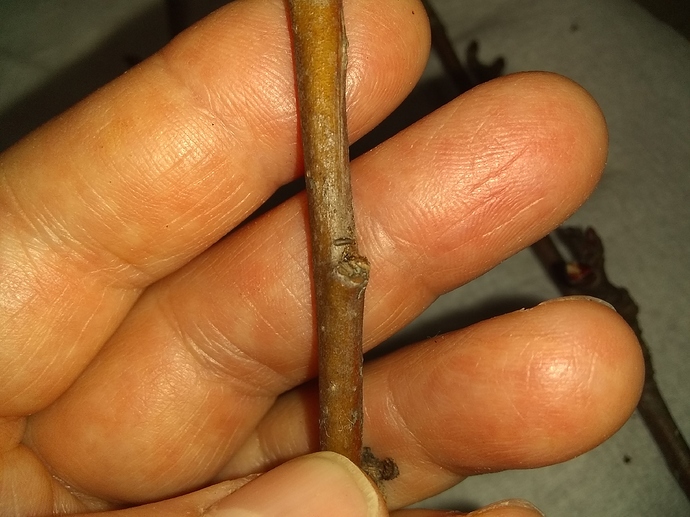 You may often hear people talking about 3-flap grafting or 4-flap grafting but what if you have a trunk 3-4" wide and a chunk of another tree that width too. You MODIFY the style of graft someway to fit the situation. So now you’re likely grafting with 4-year wood and that modify becomes maybe an 8-flap graft. That softer previous seasons’ growth I always think of as juicy and almost rubbery where I like to remove chip buds. Of course all those spurs could be cut lifted off same as chip grafts, as-well. I just noticed that. I have grafted with some old spurred up wood like that and it can be done, not ideal but it can and does work. Thank you , everybody! You are very helpful as always! 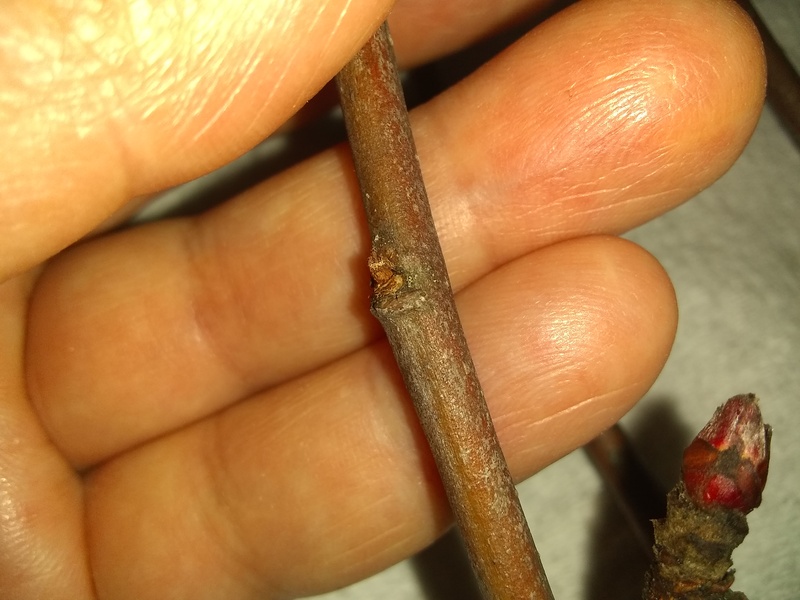 I have always been reluctant to graft older wood…usually don’t have to. I tried doing a couple cleft grafts with just about one inch of the tip…similar to photo…so will see what happens. Botner would occasionally send me wood like that. The first time I grumbled but grafted it anyway… it worked great. No more grumbling. Graft the main stem and have at least one spur coming out and you will be good.